Ron Sider is the founder and president emeritus of Evangelicals for Social Action and the author of over 30 books. His groundbreaking Rich Christians in an Age of Hunger, now in its sixth edition, changed the way the Christian community thinks about social justice issues. 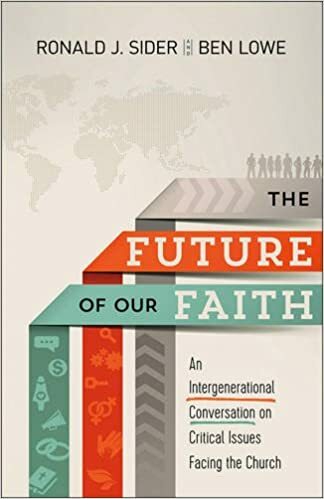 His next book, co-authored with Ben Lowe, is The Future of Our Faith: An Intergenerational Conversation on Critical Issues Facing the Church and is scheduled to come out in early 2016. In this interview guest contributor Dave Baker gets Sider to reflect on his life and career. If you could start your teaching career all over again, what would you do differently? I spent years of my life studying history, and my PhD is in Reformation history. In retrospect I should have taken more economics, ethics, and sociology classes. I only ever taught one course on history. I have not been just a teacher or a researcher. I also tried to be a scholar and a popularizer. That means you have to make hard choices. When I spent a lot of time as an activist, it cut into my teaching time. I’m glad I did all those things, but I could have been a better teacher if I had focused only on teaching. What did you accomplish as the leader of ESA? I have seen and been a part of at least three major changes in the evangelical world in the last 40 years. First, there has been a huge change from an almost exclusive focus on evangelism to an embrace of holistic mission that includes both evangelism and social action. Forty years ago there was a great need for evangelicals to be more concerned with social justice, and my passion was to help them do that. But I felt from the beginning that it was biblically and theologically essential to keep a balance of evangelism and social concern. I wrote a number of books on issues of social justice (Completely Pro-Life, Just Generosity, for example), and ESA developed a whole bunch of programs nurturing greater evangelical engagement on issues of economic justice, overcoming racism, caring for creation, etc. But ESA also developed its program to help local congregations combine evangelism and social action, and I wrote books like Good News and Good Works, Cup of Water/Bread of Life, and coauthored, with ESA staff, Churches That Make a Difference. Forty years ago, most evangelical leaders said the primary mission of the church was “saving souls.” Today almost all leaders agree that biblical Christians must do both evangelism and social action. That is a huge change. ESA was only one part of promoting that change, but we did make a significant contribution. The second change is that over these four decades, a growing concern for the poor has emerged in evangelical circles. That was not a major concern 40 years ago. ESA in its programs (for example, Discipleship Workshops in the early years and lots of initiatives over several decades) and I in my books constantly talked about God’s special concern for the poor. 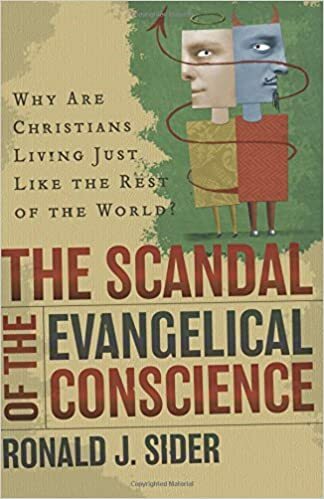 At the beginning of ESA, one of the prominent elder statesmen of the evangelical world told me that he had been going to evangelical Bible conferences his whole life and had never heard a sermon on justice. In the last decade, the most prominent evangelical, Rick Warren, has been talking a great deal about what the Bible says about the poor and has been working with the poor in significant ways. The third change can be seen if you compare the narrow political agenda of the Moral Majority, the Christian Coalition, and the Religious Right generally with the present focus of the National Association of Evangelicals (the largest evangelical network in the US). ESA agreed substantially with the Religious Right’s opposition to abortion and their concern to preserve the historic Christian understanding of sexuality and marriage. But ESA argued that if you are going to bring Christ into politics you have to ask: What does God care about? And we argued that the Bible shows that God cares about the sanctity of human life and economic justice, the family and racial justice and creation care. Therefore, faithful Christian civic engagement must have a broad, biblically balanced agenda. In 2002 I was appointed co-chair of a committee to develop a new policy statement for the NAE. In 2004 the National Association of Evangelicals’ board unanimously endorsed the document For the Health of the Nation, which the committee produced. (Money for the project was never obtained, so ESA provided the administrative work for the project.) This NAE document says that faithful evangelical political engagement must have a biblically balanced agenda and has seven major sections, including the sanctity of human life, family, economic justice, religious freedom, peacemaking and creation care. For just over a decade now, the NAE has been working on that much broader agenda. And not just the NAE but a large number of evangelical groups (in the evangelical center) now increasingly embrace this “balanced biblical agenda” that ESA has worked on for decades. Again, ESA was only one player in that change, but we did play a significant part. Most Christian books do not stay in print as long as Rich Christians in an Age of Hunger. Tell us about the reaction you got when that book first came out. Do you read the reviews of your books? Sure, I read the reviews! I am finite, limited, and far from getting everything right. So I try to take my critics seriously and learn from them what I can. The book came out in 1977. We are two years away from its 40th anniversary. I worked on the sixth edition for a year, and now that is available. Initially it was criticized, but even at the beginning more than half of the reviews were positive. I was surprised and pleased. What kind of audiences have you most addressed often throughout your career? Over the years I’ve spent the bulk of my time speaking at Christian colleges, universities, conferences, and churches. I was (and still am) a seminary teacher. But I have also had opportunities to engage political leaders. In 2006, when Barack Obama was a senator, he called me in to talk because he’d read one of my books. Do you think mainstream evangelicals are more interested in following cultural trends or the Scriptures? I think they say they want and seek to follow the Scriptures, but in practice, at deep levels, they are shaped by the culture. Nowhere is that more obvious than in the area of divorce. Jesus narrowed the situation where divorce was permissible. But evangelicals have largely defied Jesus’ teaching on the topic and get divorced at about the same rate as the rest of the population. That is scandalous cultural conformity. I also think evangelicals want to be innovative and entrepreneurial when it comes to inviting others to Christ. That is admirable, but they so often water down the gospel to make it easier to accept. Evangelicals have embraced cheap grace, and that is tragic. There has been a failure to convert and transform people. That was the concern I expressed in The Scandal of the Evangelical Conscience: Why Are Christians Living Like the Rest of the World? What role do you think millennials should play in addressing the issue of poverty? The same as the church in every age. God’s concern for the poor is a central Bible teaching. But so is the call to evangelism, social justice, sexual integrity, and creation care. The church gets off base and loses real power when it focuses on one issue. Millennials who intend to follow Jesus should look at everything Jesus said and did. We need a biblical balance in our concern and activities. What books on social justice would you recommend, whether faith-based or secular? David Brooks’ new book, The Road to Character, is fascinating and important. It is wonderful that someone as influential as Brooks talks about sin, morality, integrity, and character. Almost everything that N.T Wright writes is great. Start with his Surprised by Hope. Gordon Fee’s Pauline Christology is a marvelous discussion of how the early Christians (all Jewish monotheists) promptly started making amazing claims about and worshiping the carpenter from Nazareth. I am currently reading Alvin Plantiga’s excellent book Where the Conflict Really Lies: Science, Religion and Naturalism. What would you like us to know about your next book? The book grew out of a Relevant magazine article which was an open letter to younger evangelicals. I shared with them that I am delighted about their concern with economic justice, creation care, and combating racism. But I had some questions. I asked whether they are equally concerned with the fact that at least one billion people in the world have never heard about Jesus. Will they keep their marriage vows? Will they be biblically balanced and challenge the culture where it is wrong? Will they learn from postmodernism and realize that their theological claims are limited and far from complete, but still insist that there is truth? We know where truth is—it is in Jesus and the Bible, even though our understanding of the Bible is far from complete. I think the biggest challenge for them is to follow Jesus and not the culture. That has been a challenge for every generation. Will they have the moral courage to affirm culture where it is good but have the insight, integrity and courage to refuse to follow where it is wrong? Will Christian millennials follow Jesus or contemporary culture in areas like sexuality, materialism, economic justice, marriage and divorce? What have you been up to since you retired from active leadership of ESA in 2013? What does the word “retirement” mean to you? I am only “half” retired. I am fully retired from ESA, but I continue as a half-time professor of theology at Palmer Seminary at Eastern University. I also continue to speak and write. This past spring, Arbutus and I did a three-month, round-the-world trip to Africa, India, China, Hawaii, and Argentina/Paraguay, speaking in lots of different places. I continue with a lot of writing. In addition to some shorter pieces, I published Nonviolent Action this year. Ben Lowe and I will release an intergenerational dialogue book called The Future of Our Faith early next year. I have started doing the reading/research for what I hope will be my best book on biblical “pacifism”/nonviolence. I do not believe in “retirement” if that means stopping what one has been doing in the kingdom and just vegetating. But I am slowing down. I let myself sleep in when I feel like it. In 2012, Arbutus and I downsized and moved to a retirement cottage in a Mennonite retirement community outside of Philadelphia. We take time to watch the birds at the bird feeders I installed just outside of our study window, go for walks, and watch movies on Netflix. I also have a garden plot. I feel incredibly blessed to be in good health at 76. I like to say that if you are 76, love the Lord, love your wife, love your work, and the doctor says you are in good health, does it get any better than that? So as long as my brain and body work, I will keep speaking, writing, teaching (and gardening! )—as long as other folks still find that helpful. Dave Baker works at Baker Book House where he is responsible for school accounts and diversity initiatives.